Srinagar, Oct 10: Normal life in parts of the Valley was affected today in response to shutdown called by separatists against conduct of civic polls in the State. 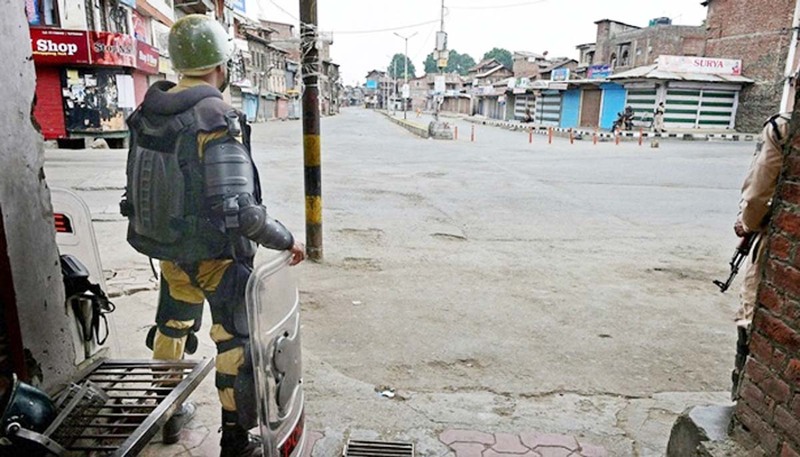 In parts of Srinagar, all shops, offices, financial institutions and petrol pumps remained closed in Solina, Aloochi Bagh, Batamaloo, Shaheed Gunj, Karan Nagar, Chattabal , Qamarwari, Barbarshah, Fateh Kadal, Munawarabad and other areas where second phase of civic polls were held today. In Old City, stringent security measures were put in place amid apprehensions of anti-poll protests. CRPF and police carrying riot gear were guarding the deserted streets and lanes and by lanes to keep a check on protesters. In Parimpora area of the city outskirts, clashes broke out this evening when youth pelted rocks at the security forces deployments when they were returning to their camps after securing polling booths. Security forces lobbed teargas canisters to chase away the angry protesters. However, no one was reported to be hurt in the clashes. Clashes also erupted in parts of South Kashmir’s Anantnag where civic polls were held today amidst a complete shutdown in poll-bound areas. Groups of youth engaged security forces in pitched battles at main town, Janglat Mandi, KP Road, Khanabal. Security forces used teargas to disperse the stone pelting youth. The clashes continued for over an hour. Shutdown was also observed in Langate, Sumbal, Kunzar, Watergam, Yaripora and Frisal areas of North and South Kashmir.